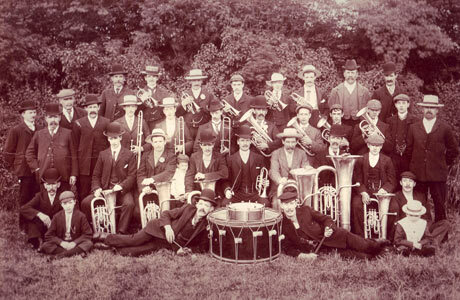 The unique 170 year social, cultural and musical history of Tredegar Town Band is to be celebrated through an innovative multi-media resource project, following a successful application to the Heritage Lottery Fund. Made possible by money raised by National Lottery players, the grant of £25,900 towards the overall £37,900 cost will see the band reflect the local, national and international context of its musical achievements from the mid-point of the 19th century to date. That history, as one of the oldest and most successful Welsh brass bands has seen them proudly represent the people of its town in many guises — from the opening of its local ironworks in 1849 to representing Wales at the European Brass Band Championships in Ostend, Belgium, later this year. Richard Bellamy, Head of HLF in Wales, said: “Tredegar Town Band On-Line Media Resource is a great project as it shows clearly how local heritage can be a catalyst for lots of different activities and bring people together behind a common purpose. The Heritage Lottery Fund (HLF) aims to make a lasting difference for heritage, people and communities across the UK and help build a resilient heritage community. It will now enable Tredegar to record new and existing works to reflect these elements, as well as integrating other multi-media resources to help display, celebrate and explain their achievements through links to other local history societies and national organisations. Accompanying written and oral histories will also be produced, whilst professional training will be given to help volunteers with curating exhibits, memorabilia, music and documents for future research. It is envisaged that the project will be completed by the end of 2018. Musical Director Ian Porthouse said: “We felt it was vitally important that we celebrate and interpret the unique social, cultural and musical impact the band has had on its local community — and the way it has represented Tredegar to the world.